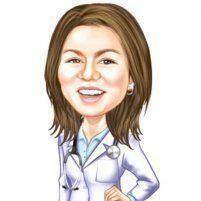 Dr. Marigold Castillo always appreciates feedback from her valued patients. To date, we’re thrilled to have collected 2 reviews with an average rating of 5 out of 5 stars. Please read what others are saying about Dr. Marigold Castillo below, and as always, we would love to collect your feedback. We had an emergency with my daughter and needed to see a doctor ASAP. Dr. Gold immediately scheduled an appointment. She took time to ask questions and listened to my concerns about my child. She also went the extra mile to fill out forms for my job and for my daughter’s school. Dr. Gold made sure my daughter was comfortable during the check up. We left with a huge sigh of relief and she even followed up after a day! Dr. Gold is now my daughter’s doctor for life. Dr. Castillo spent time answering my child's concerns, as well as my own. She is very warm and knowledgeable. Office is very nice, welcoming and clean. Great staff. Easy online appointment.